My December dining report is more of an addendum than a postscript to the preceding eleven months (which, together, I summarized and surveyed on this blog in an earlier post). Warning: it is voluminous. I spent nearly the entire last month of 2012 away from home, leading an unrealistic, fantasy life of eating Michelin stars, drinking cult wines, living in the lap of Relais & Châteaux luxury, and, most importantly, connecting with friends, old and new. Just in case you’re wondering – yes, I know what a privileged life I lead. And I am tremendously grateful for it. The bulk of my trip was spent eating, drinking, photographing, and exploring Napa Valley. 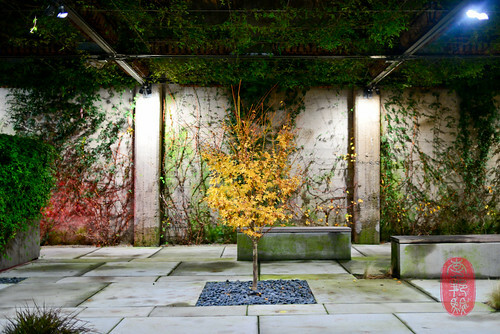 I stayed eighteen nights at Meadowood Napa Valley, a quiet, Relais & Châteaux property tucked among the wooded hills of St. Helena. There, I attended all Twelve Days of Christmas, a dinner series that brought some of the world’s most exciting, emerging culinary voices and most coveted wine labels to the three Michelin-starred Restaurant at Meadowood. From the moment I arrived at the resort, chef Christopher Kostow, his assistant Heidi Brown, and the restaurant’s director, Nathaniel Dorn, encouraged me write my own experience. So, in addition to being accorded all of the privileges of a guest, I was also granted carte blanche access as a Meadowood family member. 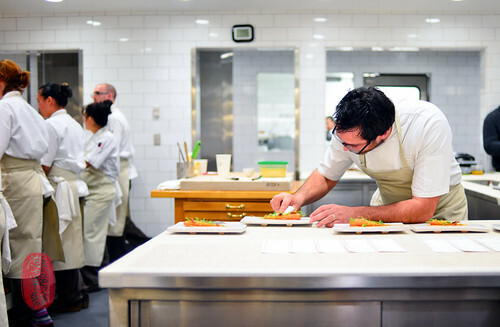 My days at Meadowood Napa Valley were full; never lacking in excitement or activities, or food. Despite the cold (the temperatures dipped near freezing at night), I tried to start every morning with a dozen laps in the resort’s heated pool. It was a brisk wake-up. 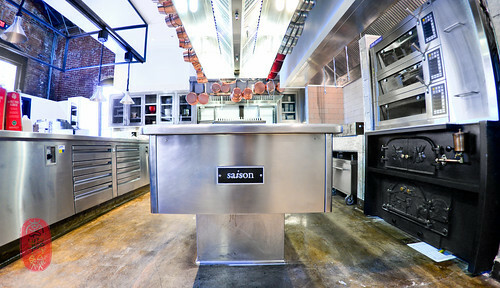 I spent most of the rest of the day in Kostow’s kitchen, where I plugged in at his counter table – a high top where up to four guests can dine in the kitchen. From that perch, I had a panoramic survey of the entire operation. I alternated between working on my laptop and moving from station to station, observing and photographing. For the culinarily curious, it was a unique and wonderful situation: have camera, will stage. 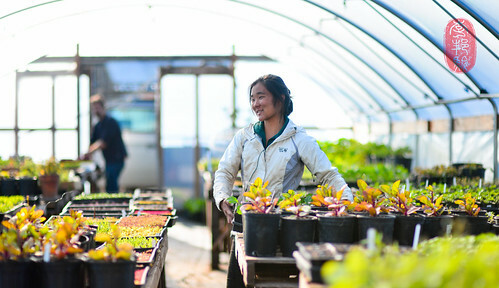 Some days, I would accompany Kostow and the guest chefs to the restaurant’s vegetable garden at the St. Helena Montessori, a stunning patch of produce overseen by head gardner Christine Kim. On other days, I’d make the quick trip with them to the Culinary Institute of America’s Greystone campus, where I moderated a discussion and Q&A session between the chefs and culinary students. 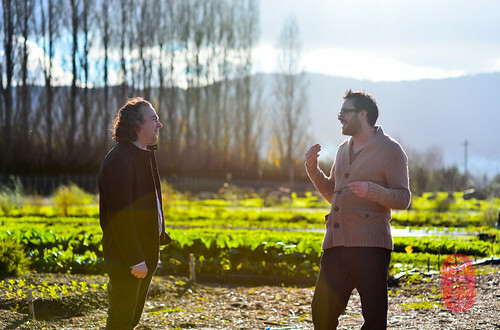 One morning, I went looking for mushrooms with the restaurant’s forager, Cameron Rahtz. Before we set out, Rahtz reminded me that we were going mushroom hunting, not mushroom gathering. There was no guaranty that we’d find anything. But, the dampness (it had been a particularly wet season), coupled with a crisp, cool climate, made the woods ripe with mushrooms. We arrived to a forest of lithe madrones and a carpet of leaves and pine needles, beneath which awaited a treasure of highly prized matsutake mushrooms. In the course of two hours, Rahtz and I hauled in over twenty-five pounds of that ivory-white specimen, like overgrown button mushrooms with an unmistakable pine and cinnamon (particularly, a red hot) scent. We found so many that we ran out of bags with which to carry them. Beginner’s luck never smelled so sweet. And, of course, every night (except Sundays and Mondays, when the restaurant is closed), I ate the food that Kostow and the guest chefs cooked for the Twelve Days of Christmas. About half of the nights, I ate in the kitchen. I spent the other half of the dinners in the dining room or at the restaurant’s bar, where I met vintners and guests from all different backgrounds. You can read about all twelve dinners by following the links that I’ve provided at the bottom of this post. 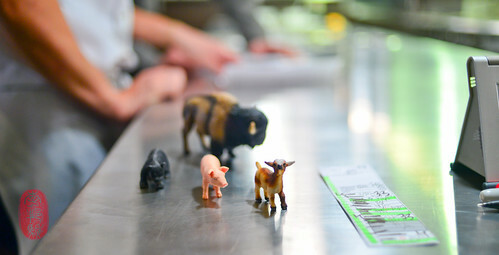 You’ll also find my recap of the entire dinner series on Eater. On the days when the restaurant was closed, I met up with friends. I had a rainy day brunch at Bouchon with Callaghan (I’ve said it before, and I’ll say it again: the tarte au citron there is amazing), dinner at Redd with Silveira (don’t miss the tamarind-glazed chicken wings), and lunch again with him at Morimoto (the cooked food there is much, much better than the sushi, which isn’t saying much since the sushi there was shockingly mediocre). At The French Laundry, chef Scott Anderson, his chef de cuisine Mike Ryan, my friend Stanford, and I, were treated to a generous display of white truffles. We had white truffles in our eggs, with chestnut agnolotti, and again with root beer (that was an amazing dessert, by pastry chef Milton Abel). Chef Joshua Skenes of Saison came up St. Helena to attend one of the Twelve Days of Christmas dinners, and we met for lunch at Redd Wood in Yountville, where I had a couple of meals earlier this year. I returned to Redd Wood for more pizza and pasta a week later for a baby shower (Christopher and Martina Kostow are expecting a baby girl later this month). One Monday night, a group of us found chef Hiro Sone cooking at Bar Terra. He brought out our main courses, which included a comforting and slurpable bowl of ramen with pork trotter and “chasu” jowl. That was delicious. My friend Andy Longres, who used to work at The American Restaurant in Kansas City and is now a chef de partie at The French Laundry, drove me through the stunning hills of Sonoma to Hog Island Oyster Co.’s oyster farm on Tomales Bay (technically, it’s in a town called Marshall). There, we found tanks full of oysters of all sizes and a corral of picnic tables and grills looking out over the water. It was one of the few, beautiful days during my stay in Napa, full of sunshine and warmth. We had swung through Napa first to pick up some cured meats from the Fatted Calf, and a gigantic sticky bun from the Model Bakery next door (By the way, the English muffins at Model Bakery are phenomenal. They have a nice buttery crust and well-structured crumb that toasts up exceptionally well.). We also brought a bag of charcoal with us. At the oyster farm, we bought a dozen mediums and a dozen larges, all of which were piled onto trays under an avalanche of ice. 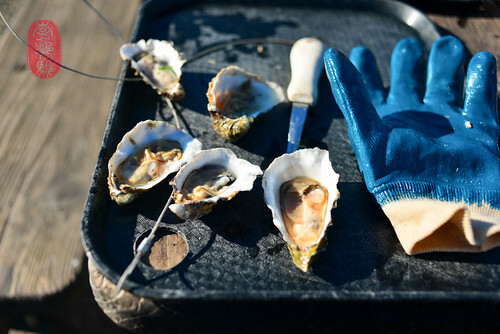 They provide the shucking knives, shucking gloves, mignonette, lemons, and hot and cocktails sauces, and we provided the muscle and appetite. We ate about half of the oysters off the shell, and grilled the rest. It was a wonderful afternoon. If you have the opportunity, go. I spent a couple of cold mornings at Gott’s Roadside (formerly Taylor’s Refresher), a stand famous for its burgers, huddled with friends under heat lamps eating breakfast sandwiches and tacos. My favorite was “The Southern,” which put a piece of fried chicken tender with scrambled eggs, cheese, and a slather of jalapeño mayonnaise between thick, griddled sourdough toast. What little downtime I had left over, I spent in my suite, reading or working next to the fireplace, which was reset with tender and logs every day. On cold, wet nights, I moved my comforter and pillows to the couch, and fell asleep with the flickering glow of flames on my face and the patter of rain on the skylight above. Leaving Napa, I had one last lunch at The French Laundry (where I was spoiled with more white truffles), before heading into San Francisco for a quiet Christmas with friends. On Christmas Eve, I met chuckeats, and we went to The Cultured Pickle Shop in Berkeley, owned and operated Kevin Farley and Alexandra Hozven. 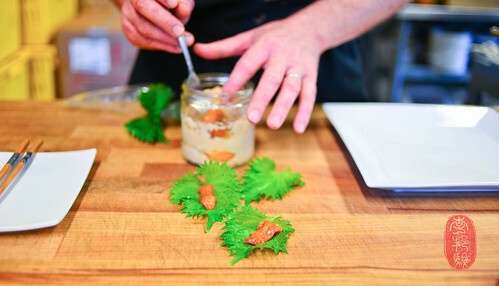 For sixteen years, the couple have studied the cultures of fermentation and pickling. Now, they oversee a vast kingdom of microcosms, gurgling and burping in large metal drums in a fermenting room. They arranged a little tasting for us: pickled garlic, fermented radishes, cured burdock root, among others. The most amazing thing I tasted was sea urchin that Farley had wrapped in mirin-soaked cheesecloth and buried in sake lees for two days. The sea urchin turned the texture of very soft taffy, and the flavor intensified, taking on the flavor of caramel and the yeasty fragrance of the lees. Sadly, they don’t sell this. However, they do sell a rainbow of kambuchas, including a beautifully balanced saffron kambucha. If you like pickles, or want to learn more about the art of fermenting and curing, you need to visit The Cultured Pickle Shop. Afterwards, we crossed back over the bay and had a quick, but wonderful lunch at Boulette’s Larder, which has quickly become one of my favorite eateries in San Francisco. Amaryll Schwertner’s cooking always respects the high quality of the ingredients she uses. Named after her Hungarian sheepdog, Boulette’s Larder is in the Ferry Terminal Marketplace. If you are looking for a solid breakfast, lunch, or brunch, I highly recommend it. What’s better than dim sum on Christmas morning? Yank Sing has long been regarded as San Francisco’s premier dim sum house. It’s relatively pricey. But, if you order well, you won’t be disappointed. We had steaming congee, threaded with scallions and ginger, and pocketed with creamy nuggets of thousand year egg. We had soup dumplings, with vinegar on the side. Chicken feet were saucy and sweet. And quenelles of fried taro arrived looking like a pair of comets; two creamy hearts, rich with pork fat, encased in gossamer shells of fried starch. We finished with sesame balls (these filled with an orange-colored bean paste), and glossy egg custard cups in flakey shells. They were pretty great. But the ones I tried at Golden Gate Bakery (on Grant Avenue in Chinatown) the next day, were slightly better – the shell was lighter and flakier, and the custard was still warm. Instead of taking a much-needed nap, I spent the rest of Christmas day at a small potluck party (I ate balut!) that Joshua Skenes hosted in the new saison space (it’s in the SoMa district, a couple of blocks from the ballpark). This multi-million dollar, 18-seater is handsome. It doesn’t have the rambling charm of the former space in the Mission (which I absolutely adored). But it is impressive in its own way. The millwork for the tables is stunning, the copper mirror behind the bar is stunning, the kitchen, which is lined in custom-made drawers with custom-made trays, is stunning, the sound system – which I hope will continue to pipe his great mix of eighties classics – is stunning. 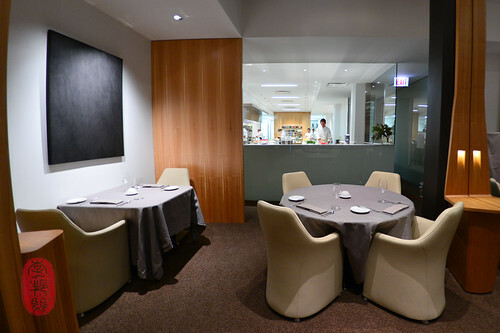 I can’t wait to have a meal here after he reopens saison later this month. On my last day in San Francisco, I took a quiet walk up to Coit Tower on Telegraph Hill, from which I enjoyed a breathtaking view of the city. It was one of those crisp, bright winter days that seemed to make everything look cleaner, sharper. I met a friend at Cotogna for some pasta, and then grazed the afternoon away at a little café on Union Street, lingering over wine and conversation. I hadn’t been to benu since 2010, and I figured it was time I went back. So, for my last meal in the city, I dined on lobster coral xiao long bao and Hokkaido sea cucumber stuffed with a forcemeat of shrimp. This time, I found the food that Corey Lee served us to be more lively, less rigid. I have a special place in my heart for Chicago. I spent four of the best years of my life in school along the city’s north shore, and a wonderful summer working there during law school. Now, years later, many of my good friends still live there. So, a trip to Chicago is always like homecoming for me, especially in the wintertime, when the air is bracingly cold, and the sky is dull and grey. That is the Chicago of my college years. That is the Chicago I know and love. And that is exactly the Chicago I found when I landed at O’Hare field, a stark contrast to the happy, sunny coast of California that I had just left hours before. As soon as I settled into my hotel room and changed into something decent, David Beran, chef de cuisine at Next, arrived outside in his Batmobile (seriously, his car is some kind of stealth wonder). We went first for drinks at blackbird, and then walked across the street for dinner at Curtis Duffy’s long-awaited Grace, where Duffy cooked for us dishes from both sides of his menu (he offers two tasting menus – one focused on vegetables, the other offers a wider range of ingredients, including fish and meat). Afterwards, Duffy took us on a tour of the restaurant, including the kitchen and the vast downstairs area, which includes wine rooms, employee locker rooms, a laundry room, and a private “cave,” where we whiled away a good portion of the night catching up. 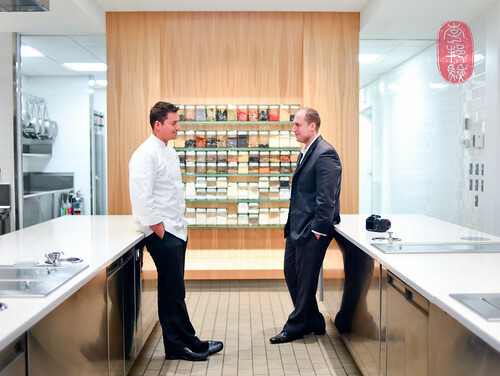 You can read more about my visit to Grace on Eater. The balance of my short stay in Chicago was spent eating, eating, and eating. Everyone told me that I had to try the burger at Au Cheval. So, I went and had one. It was very tasty, in a sloppy, slathered way (the “single” comes with two patties coated in melted cheese, mornay sauce, and mayonnaise; the “double,” therefore, comes with three patties and more of the same). Indeed, it was a fine burger. But I prefer mine meatier and juicier, and less saucy. What I especially liked at Au Cheval was the chopped liver. Not too moist, not too dry – it’s so light, it’s almost fluffy – it’s great. I had dinner at ruxbin, a hot neighborhood restaurant located in no particular neighborhood. The interior is pieced together with a quirky collection of reclaimed and repurposed material; you have to see it to make sense of it. I particularly liked the “shrimp & grits,” which was closer to cioppino than lowcountry porridge. More soupy than slutty, and slightly spicy, it came stacked with mussels and gigantic head-on prawns. If we had the patience and stomach for it, Beran offered my friend Carla and me a late, second dinner at Kyoto. Knowing that I had been eating all day (all week, all month), he promised to abbreviate the menu for us. 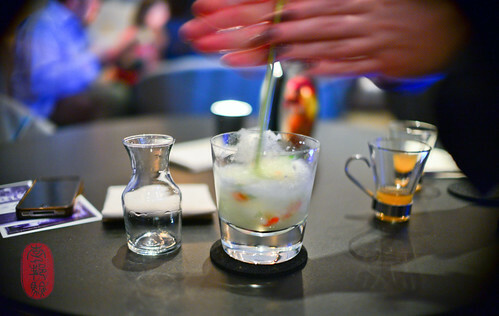 So, having finished early at ruxbin, we nested at aviary for a while, sampling cocktails (white truffle eggnog!!) until Beran fetched us for our table. Catching the tail end of the Kyoto run, we were served about half of the Japanese-inspired courses on that menu, including an entire kabocha squash that had been deep-fried, and then used as a vessel for steaming a mushroom salad (this dish, I was told, was only served to diners at next’s six-top, kitchen table). The entire cooked squash was first presented, and then portioned and plated for us. At the end of our meal, Beran gave us a sneak peek of the upcoming menu, which is based on “the hunt.” He served us one of the new desserts, which is inspired by the annual maple boil of the sugar shacks of the north (for an explanation of this dessert, read the caption to this picture). We finished the night with a tour of the restaurant, and a visit to “The Office,” aviary’s subterranean, hideaway bar. The last time I was in Chicago, Bobby Schaffer, the pastry chef at grace, took me to Hendrickx Belgian Bread Crafter, where I found, among other things, excellent chocolate cake bread (I still dream of it from time to time). This time he took me to Floriole Café and Bakery in Lincoln Park, a bright and spacious two-story dream for a pair of bakers who began selling their pastries at the Chicago Green City Market. There, I had a pretty good almond croissant filled with almond frangipane, and a terrific gateau Basque that was moist and chewy on the inside, with a nice crust on the outside. The gingerbread cake, on the other hand, was mealy and dense. I hope they fix that. Before my flight home, I met an old college friend and his wife for brunch at the Carriage House, where chef Mark Steuer is bringing the lowcountry cuisine of his home in South Carolina to Chicago (coupled with Paul Fehribach’s Big Jones, Chicago is gaining in lowcountry cooking). I regret not having the appetite to sample more of his menu. But everything we tried was good, especially the warm oysters he sent out, a take on the oyster roast. I need to go back. 2012 was already a great year before December happened. What hardships it brought were overshadowed by the blessings the Lord wrought. It was filled with food, good health, adventure, and people near and dear to me. What more could a guy want? I pray that 2013 is half as generous. As I turn to the daunting task of finalizing my annual “best of” posts for the year 2012, I leave you with an accounting of the restaurants and eateries I visited in the month of December. I am still editing photos from some of the meals below. But, if the photos have been uploaded, you’ll find them hyperlinked here. Photos: Cameron Rahtz among the madrones, Napa County, California; Christopher Kostow exercising quality control at Restaurant at Meadowood, St. Helena, California; head gardner Christine Kim in the hoop house at the St. Helena Montessori, St. Helena, California; the Christmas tree in the courtyard of The French Laundry, Yountville, California; shucked oysters at the Hog Island Oyster Co. farm in Marshall, California; sea urchin cured in sake lees at The Cultured Pickle Shop in Berkeley, California; the kitchen at the new saison in the SoMa district of San Francisco, California; autumn in the courtyard at benu in San Francisco, California; Curtis Duffy and David Beran in the kitchen at grace, Chicago, Illinois; the dining room of grace, Chicago, Illinois; a lemongrass swizzle for a ginger ice cocktail at aviary in Chicago, Illinois; the hunt has arrived at next, Chicago Illinois; Matthias Merges and Christopher Kostow at the St. Helena Montessori, St. Helena, California. ~ by ulterior epicure on January 7, 2013.